TRANSLATED FROM THE ORIGINAL GERMAN BY DAVID HEAGLE, D. D.
It is undeniable that the universe, including ourselves, exists. Whence comes it all? For any clear-thinking mind there are only three possibilities. Either the universe has existed always, it produced itself, or it was created by a Divine, a Supreme Being. Liberals … may have lost Protestantism, but they won the country, establishing ecumenicalism, cosmopolitanism and tolerance as the dominant American creed. College freshmen are impressionable people. Once as a college freshman I heard a pastor who was pretty good with his Greek New Testament explain how Jesus encountered demons. The pastor interpreted the phenomenon literally. I was impressed, so I bounced my new-found knowledge off my dad. Wrong forum! Dad was a doctor. He let me know in no uncertain terms, that whatever Jesus did, He did not heal diseases by eliminating evil spirits. That was thinking for the “quacks” and the “kooks.” As we talked, our distinct belief systems had a major collision. I backed off, but for the next several months, whenever the subject came up, my father took pains to instruct the family, so that we all stayed scientifically orthodox. That conflict demonstrates the essential difference between conservative and liberal theology. 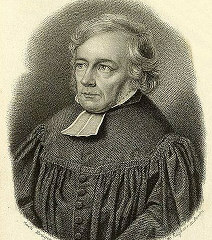 True Liberal theology began with the German scholar, Friedrich Schleiermacher (1768-1834; the term used in Germany is “Historical-critical Theology”). Schleiermacher had a great desire to defend the Christian faith and an intense interest in Bible study. He was also fascinated with European philosophy and drank deeply from the well of German idealism. From Faith Pulpit, Winter 2013. Used by permission. All rights reserved. See Part 1, Bonhoeffer: Approaching His Life and Work. Bible-believing evangelical Christians hold a high view of the Scriptures. Many evangelicals also see Dietrich Bonhoeffer as a Bible-believing Christian. Bonhoeffer, however, accepted the prevailing historical-critical views of the Bible in his day. Therefore, we should be wary of calling Bonhoeffer a “Bible-believer.” The following three examples from his writings support this position. 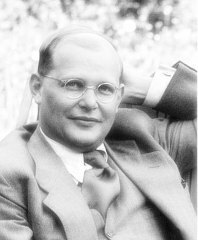 In Creation and Fall (1932), an exegesis of Genesis 1-3, we find clear examples of Bonhoeffer espousing the historical-critical view of the Bible. 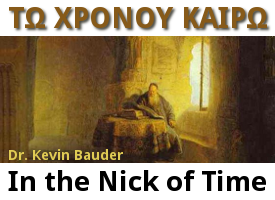 In this work he referred to the Biblical author as the “Yahwist.”1 The “Yahwist” is a reference to the historical-critical reading of the text in Bonhoeffer’s day. 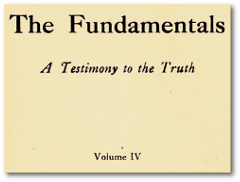 John de Gruchy, who edited an edition of Creation and Fall, included an explanatory footnote at Genesis 2:4 to alert the reader that Bonhoeffer held Wellhausen’s documentary hypothesis view.2 For Bonhoeffer, the Bible was subject to the prevailing views of historical criticism. Commenting on Genesis 1:6-10, Bonhoeffer pointed out that the Scriptures contain errors in regard to the creation account. Russ Douthat’s insightful analysis of what’s gone wrong in the Episcopal Church and Liberal Christianity in general. Read more about Can Liberal Christianity Be Saved? This edition of In the Nick of Time was originally published on May 26, 2006. Last weekend I had occasion to attend a commencement exercise at the University of St. Thomas in St. Paul, Minnesota. St. Thomas is, as you might guess, a Catholic institution of higher learning. About half of the students are non-Catholics, however, and the professors are all over the ideological map. Even the theology department has room for liberal Protestant feminism. At each commencement, the university designates one senior as “Tommie of the Year.” This student, selected for academics, leadership, and character, is given the opportunity to deliver one of the two main addresses at the commencement ceremony. The “Tommie of the Year” for 2006 was Mr. Benjamin Kessler, a football star, philosophy major, and student in the undergraduate seminary affiliated with the University of St. Thomas. For his commencement address, Kessler chose to focus on the profound selfishness that pervades American society. He began by referencing an episode in which a campus activity had turned into a food fight that had to be broken up by the St. Paul police. Then he named a campus controversy in which some unmarried couples (both hetero- and homosexual, including some faculty couples) protested a ban on cohabitation during official university trips. Finally, he branded birth control as a selfish practice that undermines the best interests of women, men, and children. When Kessler talked about the food fight, the atmosphere of the commencement became noticeably charged. When he labeled the protests against cohabitation as a form of selfishness, he began to get catcalls from the crowd, and several professors and students exited the stadium. When he stated that birth control was selfish, much of the assembly erupted into derision. Calls rang from across the stadium to “pull him down,” and “get him off the stage.” Factions within the crowd made repeated attempts to drown out Kessler’s remarks with shouts and jeers. Someone even touched off a siren.